Here’s a new sweepstakes from Amazon! Click here to visit the Amazon site and fill out the form to enter their “Santa Is Coming To Amazon” sweepstakes. 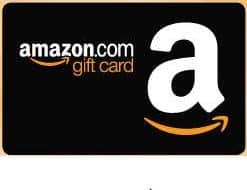 They’re giving away $25,000 in Amazon gift cards! Good luck!